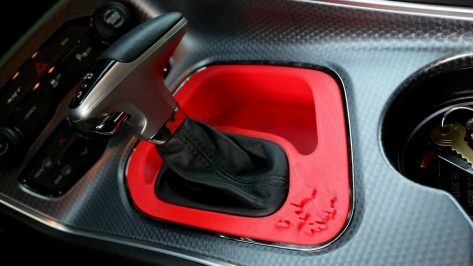 At SEMA 2017, Airwolf 3D is unveiling a modified 2016 Dodge Challenger SRT Hellcat that is upgraded with 3D printed components. 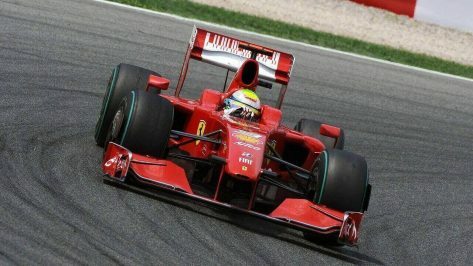 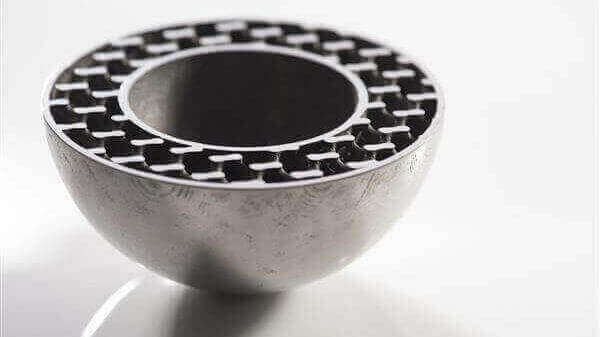 Seeking a competitive advantage, Ferrari are using 3D printing to develop their 2017 Formula 1 engine with an innovative new piston design. 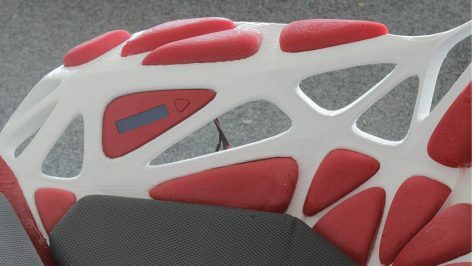 Design students from Braunschweig University of Art and Audi reinvent the car seat with a dynamic 3D printed structure named Concept Breathe. 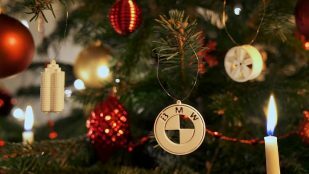 BMW celebrates the holiday season and 3D printing technology by releasing STL files of its iconic logo, the famous BMW Welt, a set of wheels, and more. 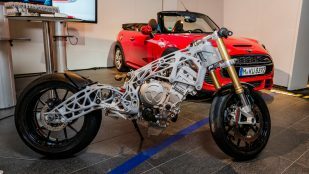 Carmaker BMW showed a 3D printed motorcycle frame at their Digital Day 2018 in Munich, an S1000RR superbike with a frame and swing arm fabricated using metal powder laser melting. 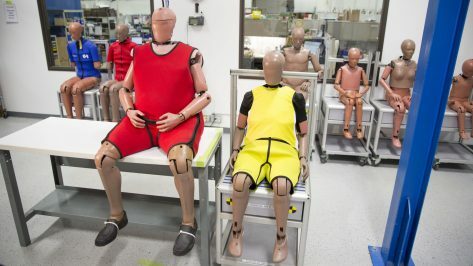 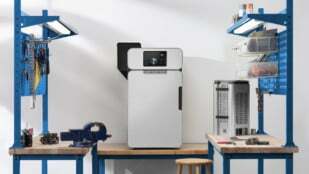 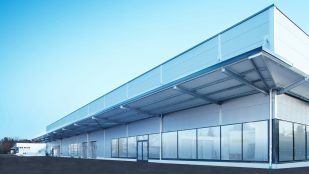 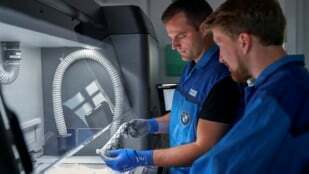 With a total investment worth over €10 million, automotive giant BMW will open an industrial scale 3D printing campus in Munich, Germany in early 2019. 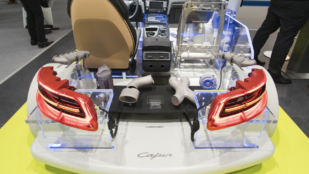 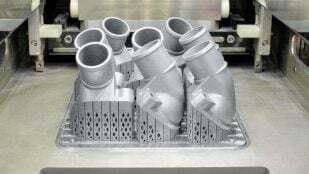 Lightweight automotive parts made with selective laser melting (SLM) 3D printing can improve fuel efficiency and reduce CO2 emissions. 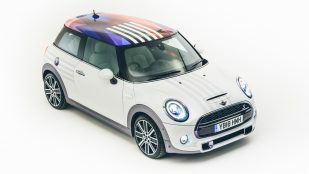 BMW has created a special-edition Mini to celebrate the royal wedding of Prince Harry and Megan Markle. 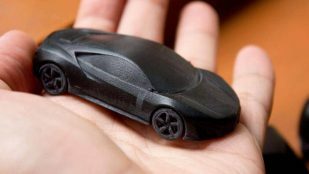 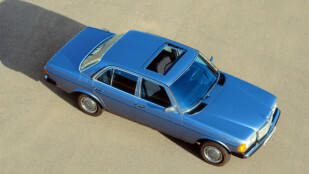 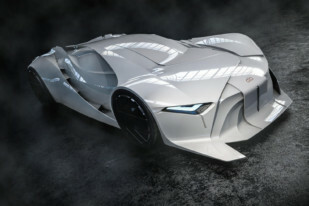 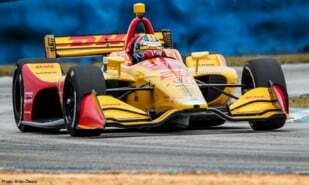 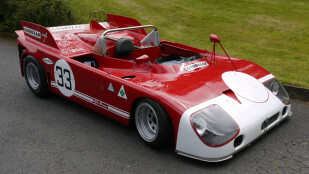 Boasting a hand-made graphic print and 3D printed details, the car will be auctioned off for charity. 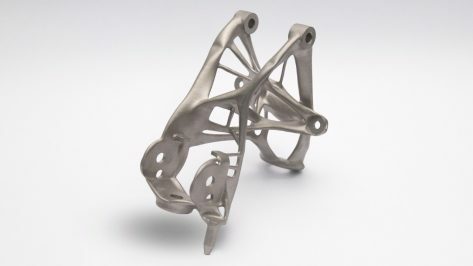 GM is using Autodesk's generative design technology and additive manufacturing to fabricate lighter automotive parts; this seat bracket is 40% lighter and 20% stronger than its predecessor. 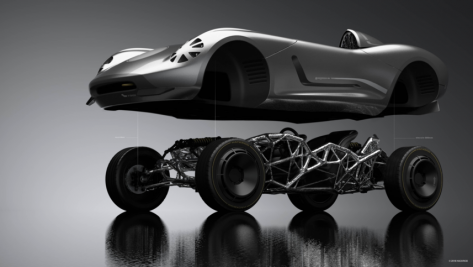 Hackrod is partnering with Siemens PLM Software to help accelerate the development of La Bandita, a self-designing speedster that will be produced with virtual reality, artificial intelligence, and 3D printing technology. 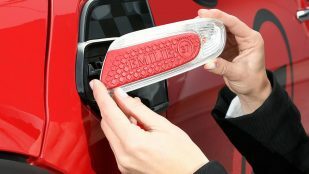 The automotive company MINI has launched MINI Yours Customised, a new 3D printing service that will allow customers to design custom interior and exterior trim pieces and have them 3D printed for their car. 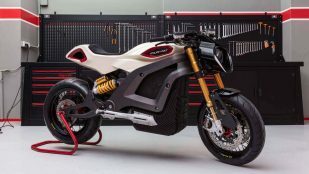 Italian Volt Lacama: Your Own Personalized Electric Motorbike? ETSEIB Motorsport, the automotive team from the School of Industrial Engineering of Barcelona, is now using 3D printing to develop racing cars for the Formula Student competition. 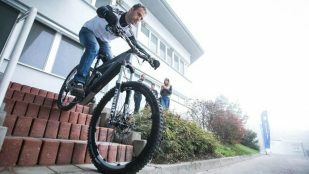 The Slovakian design company Kinazo Design creates 3D printed electrically-powered mountain bike with the help of Volkswagen Slovakia.